Perhaps no other style of investing possesses the same degree of lore, scholarship, and celebrity as value investing. While names such as David Einhorn, Seth Klarman, and Joel Greenblatt may be household ones among diehards, Warren Buffett certainly has broad recognition even outside of the investment community. Value investing even has its very own, bona fide bible. Yet, despite all the study, the books, the courses, the chat rooms, the podcasts, and investment clubs dedicated to the craft, value investing’s track record in the post-financial-crisis world is underwhelming. What’s going on here? 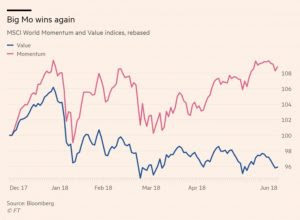 Is value investing dead, or is life merely imitating art?